Tyre Fitting in Southampton could not be easier. With TyreFitDirect we can supply and fit tyres to nearly all UK mainland destinations either on one of our mobile vans or at one of our depots. So if you are looking for tyre fitting in Southampton you have just found your local online supplier. We fit tyres on almost all makes, models and derivatives of cars and vans and are available either online or on the phone. At TyreFitDirect we pride ourselves in offering some of the best deals on the web. Please peruse our site to check out some of our offers. We look forward to fitting tyres for you in Southampton soon. TyreFitDirect, the Southampton tyre fitting company of choice. Southampton is the largest city in the ceremonial county of Hampshire on the south coast of England, and is situated 75 miles south-west of London and 19 miles north-west of Portsmouth. 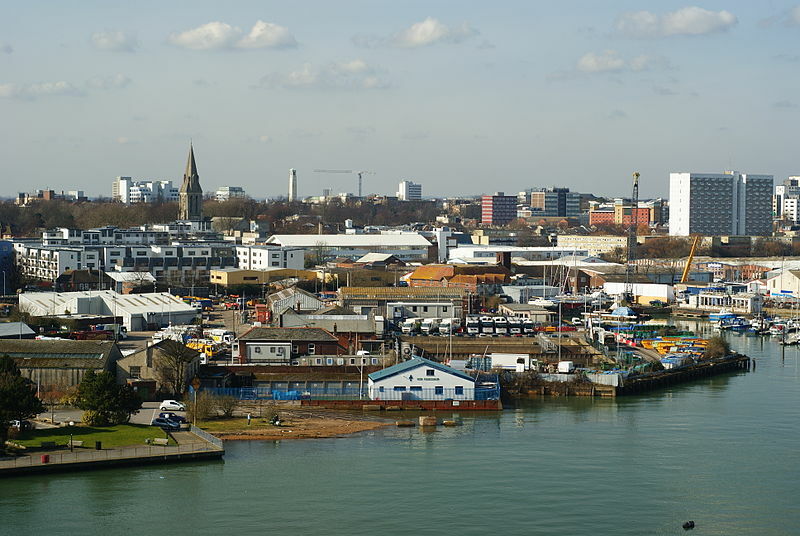 The city represents the core of the Greater Southampton region, and the city itself has an estimated population of 253,651. Southampton is ranked in the top 100 universities in the world and according to the Guardian University Guide 2015, Southampton is ranked overall 19th and 2nd for Engineering: electronic & electrical. Many of the world’s largest cruise ships can regularly be seen in Southampton water, including record-breaking vessels from Royal Caribbean and Carnival Corporation & plc. The latter has headquarters in Southampton, with its brands including Princess Cruises, P&O Cruises and Cunard Line. Southampton is also the home of the Spitfire Aircraft. It was devised by R.J. Mitchell, built and tested here and saved the country during the Battle of Britain . The prototype first flew from Eastleigh on March 5 1936 . More than 22,500 were built before and during WWII . When the government saw its capabilities 310 were ordered. Southampton is home to Southampton Football Club—nicknamed “The Saints”—who play in the Premier League at St Mary’s Stadium, having relocated in 2001 from their 103-year-old former stadium, “The Dell”. They reached the top flight of English football (First Division) for the first time in 1966, staying there for eight years. They lifted the FA Cup with a shock victory over Manchester United in 1976.